As supplement to support cardiovascular health. ADULTS: Take 1 softgel per day with warm water every after meal. 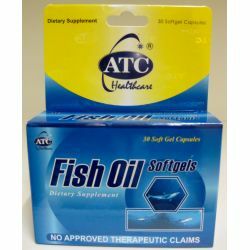 Each softgel capsule: Fish oil 995 mg, providing EPA 180 mg, providing DHA 120 mg, vitamin E 0.50 mg, gelatin, glycerine and purified water. This product should not be taken by patients with hypersensitivity or allergy to any of its ingredients.